Since 1989 doing roof repairs only, we have heard many reasons why other contractors tell their customers they need a new roof. We deem none as unlikely as the roof tile on a building can not be matched. Those who have tile roofs have our assurance: we have never told a customer they need a new roof because we cannot match the tile. Since 1990 we have matched roof profiles and colors to the aesthetic demand of the most prestigious communities throughout Brevard, Indian River, St. Lucie and Martin Counties. In 2008 we began to include Palm Beach County in our service area; In 2014 we ceased working in Palm Beach County due to a vast labor shortage. 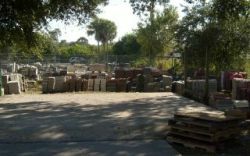 At our main office in Vero Beach we have an on site inventory of 7,500 concrete and clay tiles, with at least 30 different profiles. 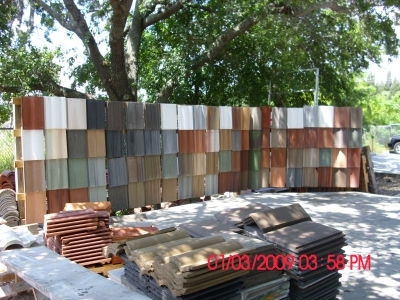 If your tile is not in our yard, most tile is accessible to us in most quantities, within ten days. Tile accessibility will not prolong the elimination of a roof leak on your building. Your roof will be water tight after the first day we begin repair, in most instances.